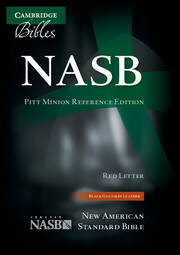 Pitt Minion Bibles are notable for their synthesis of function and style, and have been a feature of the Cambridge list for many decades. 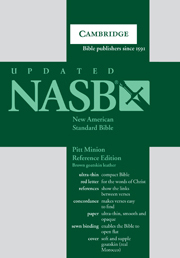 In the current generation, the text is presented in paragraph style, using a modern font that has many qualities in common with the traditional Bible typefaces. 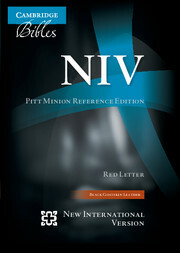 In the Pitt Minion design, it delivers the characteristic combination of clarity with economy of form - producing a compact, slimline Bible that is exceptionally clear and easy to read. 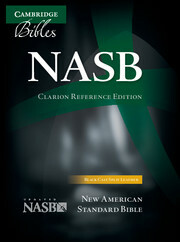 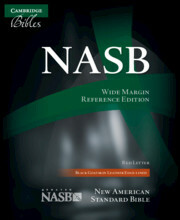 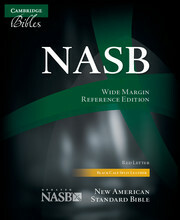 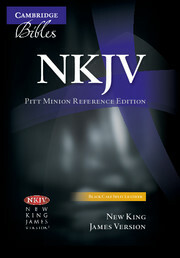 This NASB Pitt Minion Reference Edition includes cross-references, a presentation page, concordance and maps. 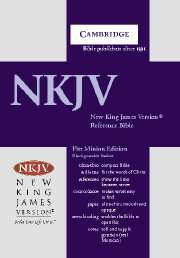 The words of Christ are printed in red and the Bible is printed on India paper with gilt edges, bound with ribbon markers and in black calf split leather.